We manufacture Surge Receiver, which are used for locating the exact location of faults in underground LT/HT cables. 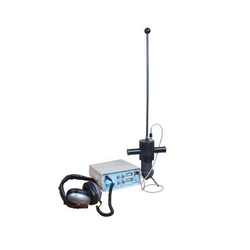 Surge Receiver offered by us is user friendly and portable, thus it cab be taken easily to the operation area. We make available highly durable and excellent performing Surge Receiver at competitive market price. Guides the operator to be on the route of cable while locating cable fault. Indication - Acoustic Channel - Analog ,edgewise meter for clear Indication. Magnetic Channel - Analog edgewise meter for clear Indication. Power- ON/OFF through headphone socket to prevent discharge of intenal batteries. Illumination - Backlighting for meters for acoustic and Channel to permit night time operation. Battery Check- Level indication on meter. Looking for Surge Receiver ?